Judge Richard Sheppard Arnold (1936 - 2004) of Texarkana, Arkansas, served on the United States Court of Appeals for the Eighth Circuit from 1980 until his death in 2004. 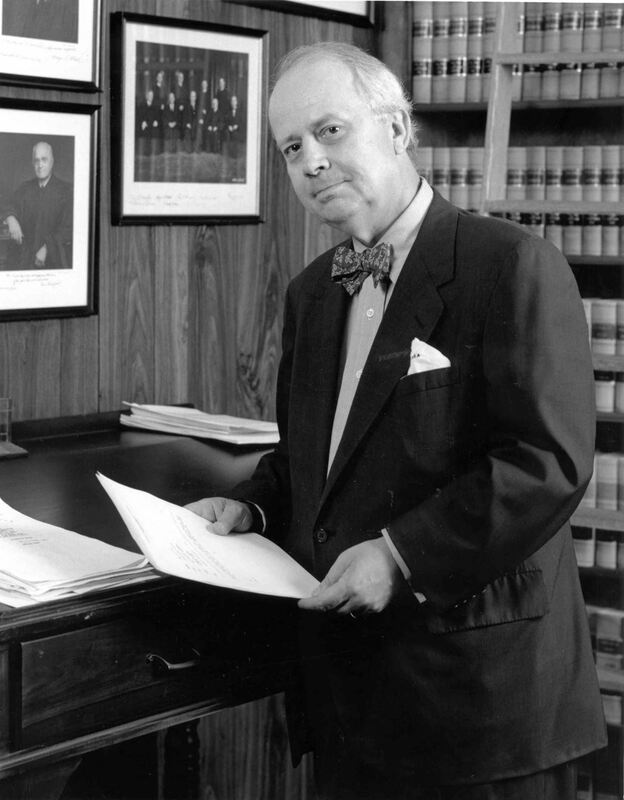 As his brother, Senior Judge Morris Arnold, described it, his mother was a libertarian (and a daughter of a United States Senator from Texas) and his father was the general counsel of a public utility. He graduated first in his class at Yale University (where he majored in Latin and Greek) and first in his class at Harvard Law School (just ahead of future Supreme Court Justice Antonin Scalia). He was a law clerk for Supreme Court Justice William Brennan in 1960 - 1961. After practicing law in Washington, D.C., and teaching part-time at the University of Virginia Law School, he returned home and practiced with Arnold & Arnold in Texarkana from 1964 to 1973. After serving on the staff of Arkansas Governor Dale Bumpers, he was nominated by President Carter to take a joint seat for the U.S. District Courts for the Eastern and Western Districts of Arkansas. He was elevated to the Eighth Circuit in 1980. In addition to being deeply informed by classical liberal principles, my brother's opinions are shaped by, among other things, a highly practical sense of how the world works and the proper role of appellate judges. . . . [H]e believes that the constitution, in its bill of rights and elsewhere, contains robust guarantees of individualism, not puny ones, and . . . this attitude may well have been forged rather early on in his life. Morris S. Arnold, Tribute to the Honorable Richard S. Arnold, 1 J. App. Prac. & Process 194, 198 (1999).